HARRISBURG, Pa. -- This week is the first big holiday sales season in Pennsylvania under a new state law that allows residents to buy and use the full line of fireworks that comply with federal requirements for consumers. CBS Philadelphia reports the law, which was signed by Gov. Tom Wolf in October, was part of a budget package designed to plug a massive deficit that broadened the legal use of fireworks and slapped a new 12 percent tax on those purchases. According to CBS Pittsburgh, the money will go to a fund for first responders. The action makes Pennsylvania part of a trend of revenue-hungry states liberalizing fireworks laws and means that Pennsylvanians — long restricted to using novelties like sparklers — can now legally buy and light Roman candles and fireworks and shoot bottle rockets and other devices that fly into the air. Under the state's old fireworks law, only out-of-state customers could buy those devices in Pennsylvania stores. Display-grade fireworks remain limited to those operators with a permit, and certain devices remain illegal under federal law, such as M-80s, M-100s, cherry bombs or quarter- and half-sticks. Municipal fire officials say they worry about the increased calls for fire or injury they'll see, and state Department of Agriculture officials say municipalities may have their own restrictions on the use of fireworks. Thirty-two stores and one temporary tent store in Harrisburg are licensed so far to sell the expanded lineup of fireworks to Pennsylvania residents, the department said. Fireworks retailers haven't been shy about advertising the change. "Finally! PA residents can buy the good stuff!" screams the website for Keystone Fireworks, which has five stores in Pennsylvania. And, "Hey Pennsylvania residents! The good stuff is now legal in PA!" The chain also is running radio ads and seeing more sales of aerial repeaters and firecrackers, said Bill Leidy, manager of the chain's Gettysburg store. Under the old law, the store roped off a section for Pennsylvania residents. "Now they can buy whatever they want, so they're ecstatic," Leidy said. Analysts in the state House of Representatives projected that the new law would generate just over $9 million in a full year, a drop in the bucket for a state that faced a $2 billion projected revenue gap in a $32 billion budget. 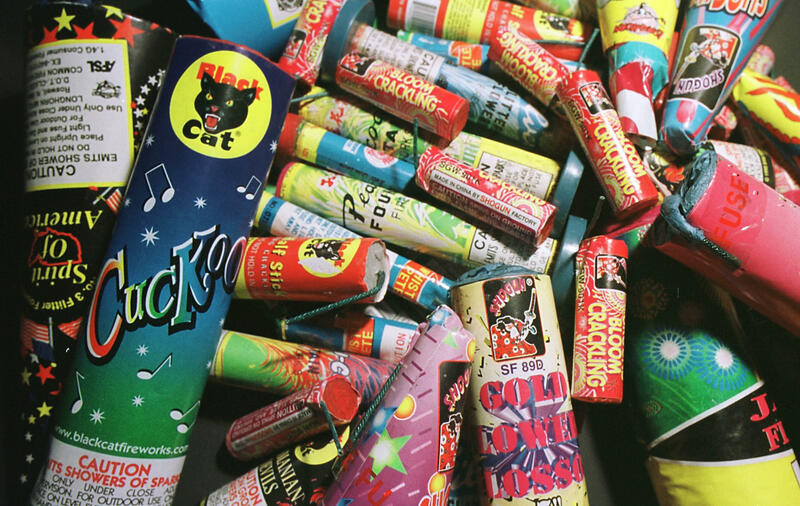 Julie Heckman, executive director of the American Pyrotechnics Association, said Pennsylvania is joining a growing list of states that are authorizing the sale and use of the full line of consumer fireworks regulated by the U.S. Consumer Product Safety Commission. Consumer-grade fireworks sales have grown rapidly — from 102 million pounds in 2000 to 244 million pounds last year — as states have loosened their laws in an effort to keep that tax revenue in-state, Heckman said. "We've seen the revenue, pardon the pun, skyrocket," Heckman said. Pennsylvania's purchases of consumer-grade fireworks are limited to buyers 18 and older, and have usage restrictions, including requiring permission from the property owner, not using them inside buildings or motor vehicles or within 150 feet of an occupied structure. A violation is punishable by a fine of up to $100.